Ah, the first signs of Spring - crocuses peek their heads up from the ground, robins return, and Pitchers And Catchers Report. 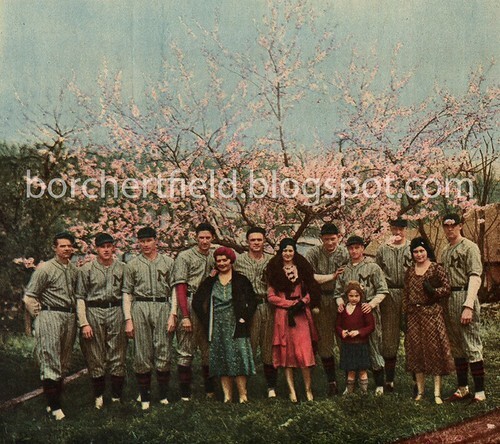 Hot Springs, Arkansas was chosen by road secretary Rudy Vizay as the spring home of the Brewers starting in 1926 and would last through the 1945 season before the Brewers moved their camp to Mineral Wells, Texas. 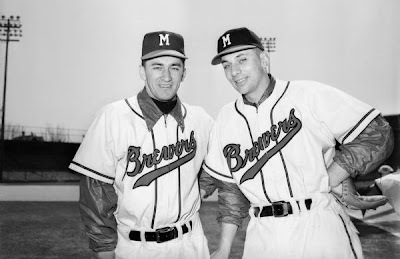 This photo of infielders Johnny Logan and Jack Dittmer was taken in 1952, the Brewers' last year of existence. 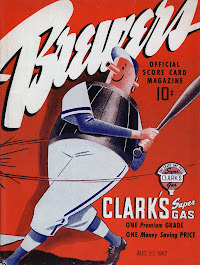 The uniforms look an awful lot like what the Milwaukee Braves would be wearing the following season; at the time, the Brewers were owned by the then-Boston-based Major League club. Greetings and welcome to Borchert Field! My name is Chance Michaels. 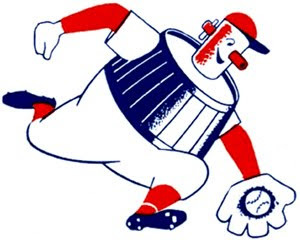 I am a baseball historian who has been interested in obsessed with the old minor league Brewers ever since I discovered the Wauwatosa Public Library's microfiche machine and their stash of old Journal and Sentinel back issues. 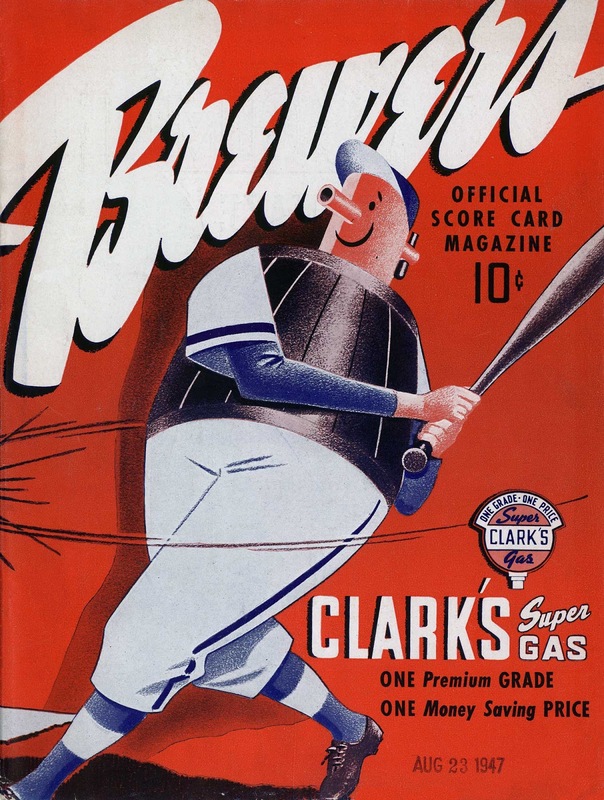 I was fascinated by the realization that Milwaukee already had a storied baseball history by the time the Braves came to town. 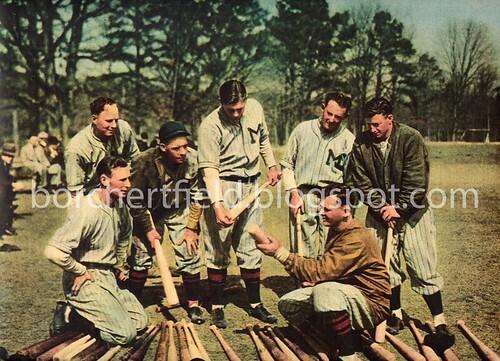 To that end, I am officially launching this online museum to the Milwaukee Brewers of the American Association, 1902-1952. 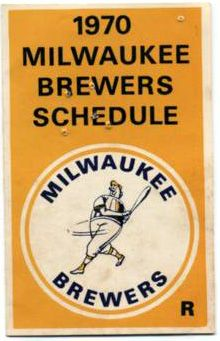 Because Milwaukee's first ballgame wasn't in 1953. I hope to meet others who are also interested in the previous incarnation of the Milwaukee Brewers. I hope to share my knowledge, and to learn from you in return. So, please take a look around. It may take us a while to build this museum together, but I am confident that it will be something special when we do.